A collection of thoughts, ramblings and experience of making technology work for me. It may include some further diversions. Now time to make the final tweaks to the Expert EAC settings to do this select the EAC menu and then EAC Options. Normalize - I did not alter this. Catalog - I did not alter this. Directories - I only set my ripped music directory file path. Write - I did not alter this. Interface - I did not alter this. That's the set up done. To test it out, insert an audio CD after it has been detected click the CD icon shown below to query freedb for the CD title, artist, track names etc. 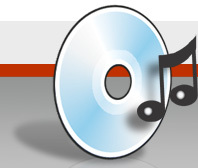 To rip to flac click the MP3 icon, this icon effectively means extract to the external encoded format which was set to be flac earlier in this post. EAC will now do its thing and start ripping the CD, this could take anything from 20mins to over an hour depending on the condition of the CD. Depending on the settings it should present a rip report at the end of the extraction process which highlights any errors encountered during the ripping process. The script will now use EAC to rip to flac before converting to alac. I suspect that with alac recently becoming open source the requirement to use both a flac and alac may reduce in the future. If anyone knows of a native equivalent to EAC for *nix please let me know in the comments below. I've used Rubyripper in Linux. It reads blocks several times and compares results (configurable), can convert to flac etc. However, I get the impression that EAC is detecting and repairing scratches better (utilizes the CDROM hardware smarter).